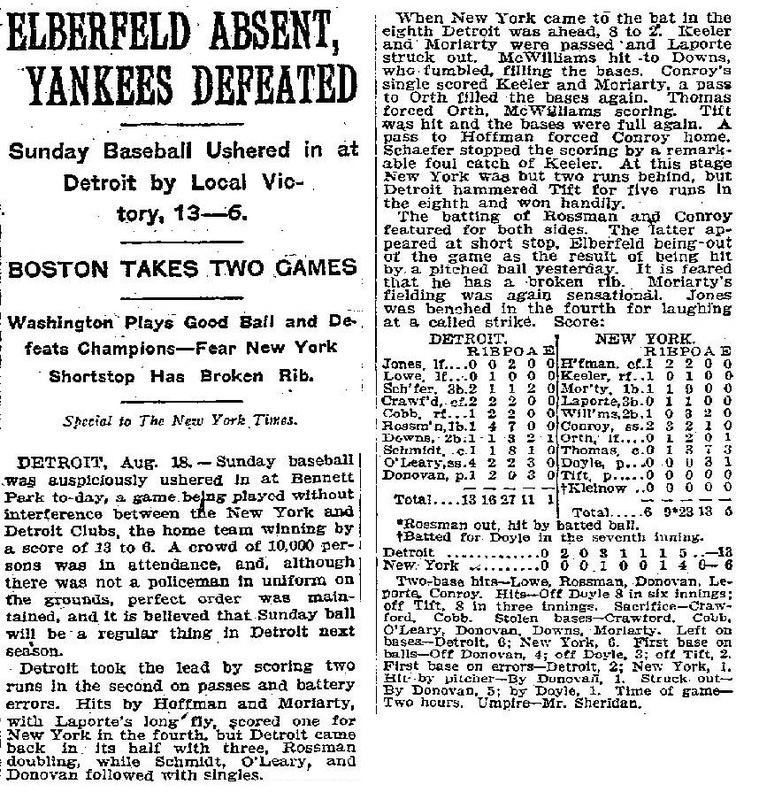 Sunday Baseball Ushered in at Detroit by Local Victory, 13-6. Washington Plays Good Bail and Defeats Champions - Fear New York Shortstop Has Broken Rib. The batting of Rossman and Conroy featured for both sides. The latter appeared at short stop, Elberfeld bring out of rothe game as a result of being hit by a pitched ball yesterday. It is feared that he has a borken rib.